The US is seemingly determined to continue a low-intensity civil war in Syria, backing the opposition forces, Stanislav Byshok, a political analyst at the International Monitoring Organization CIS-EMO has told Radio Sputnik, commenting on the recent deadly attack by the US-led coalition against pro-Damascus militiamen in Deir ez-Zor province. It appears that the US military feel free to bomb whatever they want in Syria and conduct operations on the ground chaotically, as the Pentagon is obviously over-funded, political analyst Stanislav Byshok told Radio Sputnik. "The rhetoric of the Americans that [Syrian President Bashar] Assad must go has nearly faded away; to be more precise, it was replaced by 'Assad must go, but a little later'. Still that does not mean that they committed themselves to not attacking the Syrian [Arab] Army. The low-intensity civil war is raging on [in Syria] and the Americans are acting on the side of the opposition," the analyst explained. According to Byshok, there is no end in sight for this sluggish conflict, given America's overblown military budget. The US forces can afford themselves inconsistent military actions on the ground since their weapons stockpiles can be replenished swiftly, he said. Meanwhile, ABC reported Thursday that on February 7, US aircraft and artillery shelled Syrian pro-government forces, leaving 100 militiamen dead. Washington described the attack as the "repelling" of an "unprovoked attack" against the US-backed Syrian Democratic Forces (SDF). The incident took place "about eight kilometers east of the de-confliction line along the Euphrates River," the report added. Citing an unnamed US official, the media outlet wrote that the attack on the SDF headquarters by Syrian pro-government troops involved Russian-made T-54 and T-72 tanks, as well as artillery. The source also told the media that the US-led coalition contacted the Russian military through a telephone hotline and informed them "of the defensive airstrikes in the area." In response, a Syrian state-run broadcaster slammed the US coalition attack as a "new aggression" and "an attempt to support terrorism." Damascus has yet to comment on the incident. 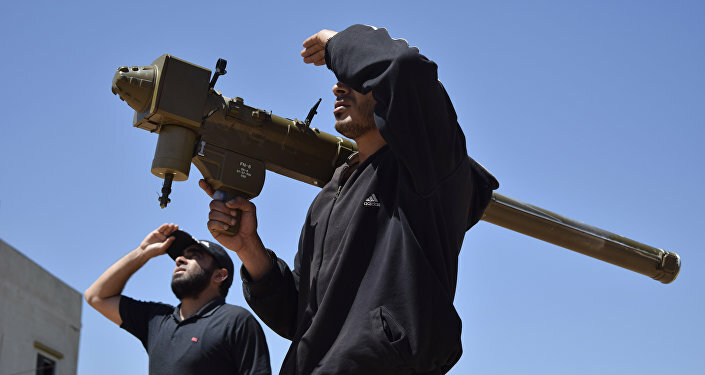 Shedding more light on the event, the Russian Ministry of Defense specified Thursday that the pro-Damascus fighters were involved in an anti-Daesh operation near the Al-Isba oil refinery in Deir ez-Zor province, when they came under the US-led coalition's fire. "While carrying out the task, militiamen were subjected to sudden mortar shelling and artillery rocket fire; after that, the helicopters of the US-led international coalition struck them," the ministry said, adding that a total of 25 Syrian pro-government troops were killed during the attack. 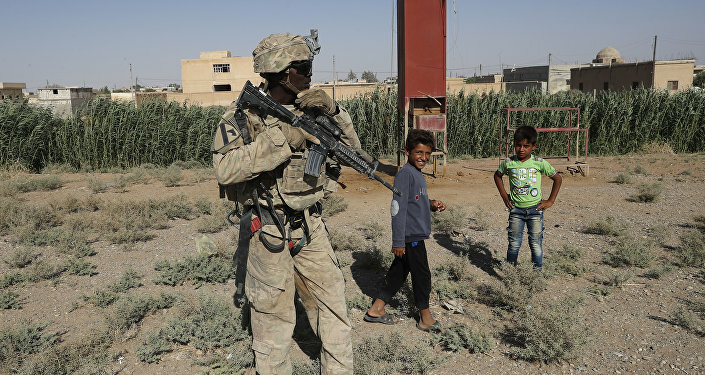 The US-led coalition presence on the ground in Syria is illegal, since it has never been authorized by Syrian authorities or the United Nations. According to the ministry, it appears that the US is focused on protecting its assets on the ground rather than expelling terrorists from Syria. It is not the first time US military forces have attacked Syrian government forces and their allies. On April 6, 2017 Washington hit the Syrian Arab Army's airfield in Ash Shayrat with 59 Tomahawk cruise missiles following the alleged chemical attack in Khan Shaykhun, Idlib, which was blamed on Damascus by the National Coalition for Syrian Revolutionary and Opposition Forces. Earlier, in September 2016, the US-led coalition air force attacked the SAA during its offensive against Daesh (ISIS/ISIL) near Deir ez-Zor airport. The strike claimed the lives of 62 soldiers, leaving some 100 injured. Meanwhile, Russian Foreign Ministry spokeswoman Maria Zakharova expressed concerns that "a 55-kilometer zone unilaterally created by Americans around their military base near al-Tanf is being used by the scattered units of Daesh terrorists." Previously, the Russian Defense Ministry questioned the US unwillingness to strike Daesh jihadists fleeing the Syrian city of Abu Kamal in November 2017 and released aerial photographs in September 2017 showing US Army Special Forces and the US-backed SDF smoothly advancing through Daesh formations while facing no resistance from the terrorists. At the same time, news repeatedly emerged about cases of an alleged evacuation of Daesh fighters and field commanders by US aircraft. In December 2017, Syria's state-owned media outlet SANA reported that US helicopters had transported Daesh leaders from several regions in Deir ez-Zor province to the country's northeast, particularly to al-Hasakah. In mid-December the Russian Defense Ministry accused the US-led coalition of using the al-Hasakah-based camp to train jihadist fighters. The views and opinions expressed by Stanislav Byshok are those of the analyst and do not necessarily reflect those of Sputnik.